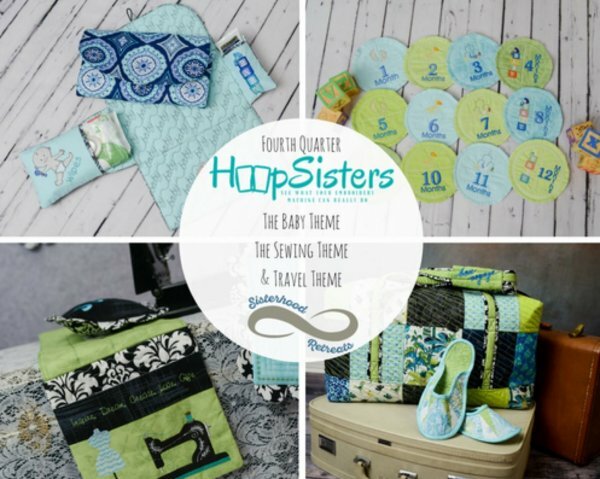 Bring your embroidery machine for a day filled with exciting in-the-hoop projects from the creative minds at HoopSisters. You will receive a CD with three themed sets filled with fun projects for you to take home with you. While at the retreat, you will make a project from each of the three sets...a pincushion, burp cloth and luggage handle tag. Our instructor, Glynnis, will guide you through the process as you learn new skills using your embroidery machine. This is a great opportunity to broaden your horizons, use your embroidery machine and have fun while doing it. At the end of the day, you will have 3 projects that you can use or give as gifts. 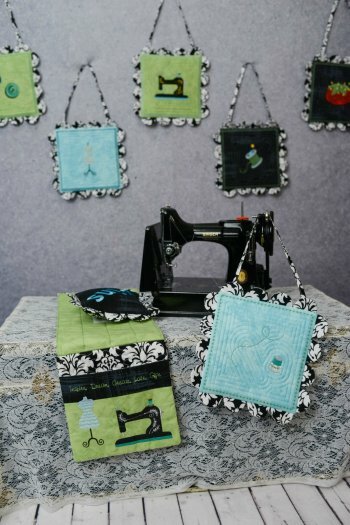 Plus, you will take home many more projects on a CD with the embroidery files ($180 value) that coordinate with our retreat projects that includes an ironing board organizer, a weekender bag, travel slippers, scissors lanyard, changing pad and milestone markers. 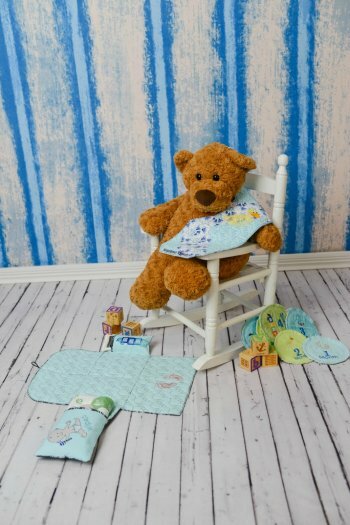 PLUS, you will have many baby, sewing and travel embroidery designs to use however you wish. That means, the fun continues! Note: All embroidery machine brands are welcome, but be aware that you must know how to operate your own machine. Although there will be instruction on using the software and in-the-hoop construction, this is not a class on machine operation. You must have a basic knowledge of how to operate your own machine.